After you eat or drink something especially sugary, rinse your mouth out with water to avoid hanging out with a thin layer of sugar over your teeth for the rest of the day. This quick trick can also help to fight against discoloration from red wine and dark beer. It’s easy to fall out of your routine with holiday travel and later-than-usual nights — but brushing and flossing couldn’t be more important this time of year. Before you pack for an overnight trip, make a list (and check it twice) to ensure that your dental hygiene tools made the suitcase! 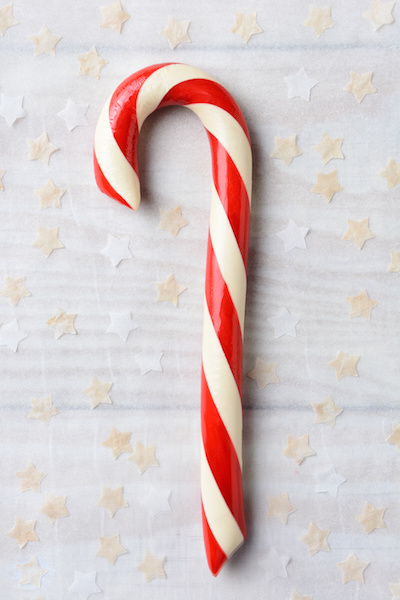 While you want to enjoy the holidays to the maximum, there are some treats that it’s just never wise to eat — especially for people with dental restorations like veneers which may be vulnerable to chipping. Stay away from the peanut brittle, caramel apples, and anything else that’s super hard, sticky, or crunchy. Popping a cube of cheese into your mouth while you sip wine can actually do your smile some good! The calcium will help strengthen the tooth enamel to better protect against decay and other oral health hazards. Mouthwash isn’t a necessity in your oral hygiene routine, but it can help get your mouth a little cleaner during the sweetest time of year. Look for one that is alcohol-free to protect your gums. If you know you’re going to a holiday party in the evening, it’s smart to skip the sugar in your coffee or to have toast for breakfast rather than your usual sweet granola. These small adjustments can make a big difference for your teeth — and maybe for your waistline, too! After the holidays are over, take the time to book a visit with your family dentist in Lacey to ensure you escaped the season without any dental health problems popping up. Or, if you are covered by dental insurance and haven’t had two preventive appointments in 2018, schedule that appointment before the year’s up to have it covered! To wrap up, the sweet treats and desserts we love October through December can put your teeth at risk — but not when you follow these 7 helpful tips! Peterson & Cammack is Lacey’s source of high-quality family and cosmetic dentistry. This time of year, they urge their patients to take care of their smiles by booking a visit in December or January. If you have dental insurance, they can help you maximize your coverage! Book a visit by calling their team at (360) 459-4420 today.